The Australian Dairy Farmers Federation (ADFF) was formed in 1942 as an unincorporated association to represent the national interests of dairy farmers. In 1993, ADFF was incorporated as a company limited by guarantee. 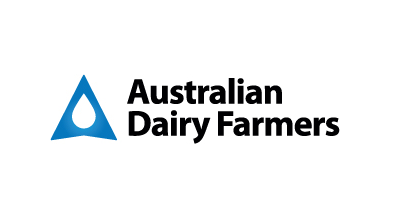 ADFF’s name was changed to Australian Dairy Farmers Ltd to reflect its changed business structure. Australian Dairy Farmers Limited (ADF) is a not-for-profit organisation representing the interests of Australian dairy farmers. We are a strong collective voice to Government and the community on national issues affecting dairy farmers and their profitability. The ADF has a long history of successfully lobbying for the rights of dairy farmers on many fronts - trade, water, carbon, milk price and animal health & welfare issues. Our vision is for a sustainable, innovative, domestic and internationally competitive dairy industry that is valued for its environmental, economic, health and social contribution. Our mission is to improve the profitability and sustainability of dairy farming in Australia.